You've never seen this face, have you? Nor did I until curiosity led me to research an obscure name in an old book, and one thing lead to another. Funny how that is. You never know what you'll find when you start digging in a library. Sometimes you arrive at a dead end, while other times you find something—or someone—really quite fascinating, which is exactly the case with Alphonse Devin Duvivier: composer, pianist, student and exponent of Manuel García. Duvivier was an Englishman with a Gallic name. Born in Liverpool in 1827, Duvivier's parents moved to Berlin when Duvivier was 12, where he studied piano with Theodor Kullak. When he was 20, Duvivier entered the Paris Conservatoire, completed his studies with Halevy and formed associations with Bizet, Saint-Saëns and Massenet. The Paris Conservatoire is also where García entered the picture. Did Duvivier approach García for voice lessons? Or did the great master—who was, if anything, quite practical—see the young man's potential when he played in his studio? Whatever the circumstance, Duvivier's tuition with the father of voice science was life-changing, ultimately leading him to America, where he left something of his master's principles in an interesting document, which we will get to in due course. García must have been sure of Duvivier's abilities as a voice teacher, if only because the latter taught his teacher's two daughters to sing (he also taught Halevy and Hérold's daughters), and joined García as a faculty member at the Royal Academy of Music in London in 1875. Duvivier was also a composer, his oeuvre including three operas; Deborah, which was produced at the Lyrique Theatre in Paris in 1867; Le Florentin and La Mandragore; more than sixty songs; and numerous orchestral works, among them: The Triumph of Bacchus, Fantaisie Symphonique, and Allegro Scherzando. In 1891, having taught at the Royal Academy of Music for 16 years, Duvivier left London, his wife and two children, and relocated to Chicago, Illinois. He was 64. Whether he met and married his second wife in America, I do not know. * Whatever his reason for leaving London, Duvivier arrived in the windy city, and promptly cast his lot with two ne'er-do-wells in forming "The Columbia College of Music," which was badly managed from the start. Duvivier exploded, threw chairs, nearly got arrested, and went to court to sever the relationship. This bump in the road surmounted, Duviver settled down and produced many successful students. 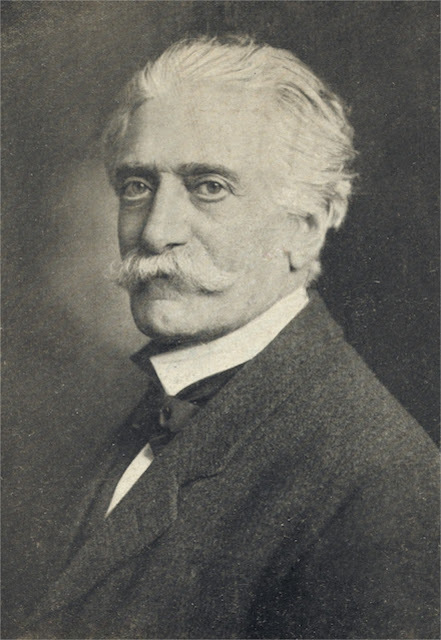 One was Franz Proschowsky, who authored The Way to Sing: a guide to vocalism with thirty practical exercises (1923), and was associated with Amelita Galli-Curci. Another was Howard Willson, a basso cantante who made his debut at Covent Garden with García's assistance in 1906. Duvivier also taught Marie Tempest, Selina Delaro, Rose Hersee, Perugini Ludwig and many others who have faded from memory. In short, he knew what he was doing. After living and teaching in Chicago for 6 years, Duvivier gave a lecture to the Illinois Music Teacher's Convention on July 1st, 1897, which was published later that year. Titled "Some Remarks On the Voice and Art of Singing," I believe it represents the first written account of García's method in America by a leading exponent. Since García's Hints on Singing had just been published in 1894, Duvivier quotes from it liberally, while at the same time adding additional information which illuminates his teacher's principles. This makes Duvivier's text unusual, and deserving of further attention. 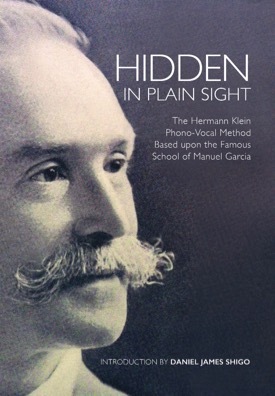 Those who have studied Herman Klein's manual in my recently published book Hidden In Plain Sight: The Hermann Klein Phono-Vocal Method Based Upon The Famous School Of Manuel Garcia, Anna Lankow's The Science of the Art of Singing (1903), and Duvivier's address below will notice that all three espouse a concept that sounds rather empirical to modern vocal pedagogues, which is that every voice has three registers. Of course, this isn't what the father of voice science proposed in A treatise on the art of singing (1847) or Hints on Singing (1894). There, García outlined a register theory in which women sang in three registers, and men in two. What accounts for the unity of thought between these three sources and their difference to Garcia's published works? That's a very good question, and one which may indicate that—despite García's published theories on registration—his studio practice reflected the proprioception of an older school, one which divided the voice into three parts, voce di petto, voce ingolata , and voce di testa. It is a great pleasure for me to enjoy the privilege of communicating to you, in this convention, the result of my technical observations on the physiology and production of the human voice in my practical experience as a teacher in Paris, a professor at the Royal Academy of Music in London and, of some years now, in your dear America, where, at least in Chicago, it is so necessary to modify one's European notions as to the relations existing between masters, no, I beg your pardon, teachers and pupils- pupils who assume upon themselves the ability of discerning who is competent or not; who change their teachers as easily as they do a pair of gloves, and who, as a witty friend of mine in this assembly once said to me, "are in the habit of taking samples." My first most pleasurable duty will be to express heartfelt thanks to the kind and always artistically devoted friend who has afforded me this opportunity, Mr. Emil Liebling. In order to be as clear and concise as possible, I will divide this rapid study into three distinct parts, First, the voice, it's physiology and production; second, the art of singing and the influence of modern music, modern orchestration, modern opera upon the virtuosity of singers; third; the desirability of a uniform standard pitch. Study of exercises; modifications of vowels according to pitch; equality of the scale resulting from the inequality of the vowels; blending the chest and medium registers; study of the chromatic scale, the shake; the tremolo. Before proceeding further, let me say that I do not presume to enumerate here all the physiological facts connected with the vocal organs, which are probably all familiar to you; nor do I pretend to give you this lecture as a result of my personal studies, investigations or experience only. Far from such a course: I will 'render unto Caesar the things which are Ceasar's." I shall refer continually to the great works of my illustrious master and honored friend, Manuel Garcia, or to the remembrance of the long, instructive conversations we frequently had, during the seven years and a half I had the honor of being with him on the Staff of Professors and Board of Examiners at the Royal Academy of Music, London. About that period (1881 to 1888) he was suddenly stricken down by a most serious illness, which compelled him to relinquish his duties for over a year, and on October 2, 1883, the Principal of the R. A. M. Sir George Macfarren, upon the request of Señor García, asked me at once to take charge of his class. The grains of sand which I may possibly contribute to García's monumental work will simply be the corroboration of his invaluable researches, his discoveries, his incontrovertible statements of physiological facts, the fundamental laws of phonation he established, his authority as the teacher of so many great artists, brilliant stars who periodically illuminated the musical firmament during the last half century, beginning with his pupil, Jenny Lind, 1845 (this marvelous singer came to America in 1850), down to the present day. I must not omit the names of his pupils, the celebrated singers and teachers he has formed, his sisters, Malibran, Mme. Viardot García and so many others I shall mention hereafter, including Mme. Marchesi. Today, thanks to García and his invention of the laryngoscope, we are far ahead of simple speculative theories. Even as far back as April 12, 1841 (date of the report issued by a "special committee of the French Academy of Sciences" upon his "Memoire sur la Voix Humaine," submitted to assembly in 1840), all debate on the physiology of the vocal organs was, so to speak, closed. The only field left open was how to ascertain the best means of acquiring, through methodical study, absolute mastery over Nature's sublime instrument. Everybody knows García's "Art of Singing." a compendious method of instruction, published in Paris by Brandus et Cie, 1840 (two large volumes). Recently, in 1894 (urged partly, I amy be permitted to say, by my incessant solicitations during the years I was at the Royal Academy), at the age of 90, García has given the world his "Hints of Singing," the result, as he writes in his preface, "of his fifty years additional experience since the publication of L'Art du Chant, and his invention of the laryngoscope." Didactically, therefore, this great master has proven himself without rival. In Sir George Grove's dictionary, García's biographer says: "For his invention and application of the laryngoscope the university Köningsburg granted him an honorary M. D. His 'Memoire sur Voix Humaine' obtained for him the congratulations of the French Academy of Sciences. He is also a chevalier of the Swedish Order of Merit. A few years ago he exhibited his invention at a medical congress in London. A testimonial was presented to him under the auspices of Prof. Huxley and Dr. Critchett, the great oculist." Finally his pupil, Madam Antoinette Sterling, informed me some months ago, that the honor of knighthood had just been conferred upon him by Her Majesty, Queen Victoria. If I have dwelt so long upon this great master's history and works - thus informing you also whence I proceed- it is with the aim of encouraging you to follow me where I desire to lead you. I wil now give you a most concise and clear description of the vocal instrument. I cannot do better than quote textually from "Hints on Singing:" "The lungs are at the base of the vocal instrument, Essential organs of the respiration, the lungs perform the function of an organ bellows, furnishing the air necessary for the sonorous waves. They are place one on each side of the chest, the expansion of whihc makes room for their inflation and the contraction of which compels them to expel part of the air admitted. Above come the larynx, a sort of cartilaginous box: this box, in which every vocal sound is produced, is open at both ends, and communicates by its lower opening directly with the lungs through the trachea, and elastic tube; the higher opening communicates with the pharynx, and, when we swallow, is closed by a sort of cartilaginous leaf, called the epiglottis. The larynx communicates with the nasal fossae, two cavities situated above the roof of the mouth, and extending from the pharynx to the nostril. The palate is the roof of the mouth; the anterior two-thirds are bony, the other third, called the soft palate, is a movable curtain continued backwards from the hard palate. The pharynx, on account of the numerous shapes it can assume, confers the coloring of timbres on sounds produced in the larynx, and contributes to the formation of vowels." The two acts of inhaling and exhaling constitute respiration. The art of correct breathing out to be, from the very beginning, one of the most important objects of the student who aspires to become a skillful singer. The act of respiration is under the control of the midriff or diaphragm, a large, thin muscle closing the case of the chest cavity and separating the thorax from the abdomen. "In the first attempt to emit a sound the diaphragm flattens itself, the stomach slightly protrudes and the breath is introduced at will by the nose, by the mouth, or by both simultaneously. During this partial inspiration, which is called abdominal, the ribs do not move, nor are the lungs filled to their full capacity, to obtain which the diaphragm must and does contract completely. Then, and only then, are the ribs raised, while the stomach is drawn in. This inspiration, in which the lungs have their free action from side to side, from front to back, from top to bottom, is complete, and is called thoracic or intercostal. If by compression of any kind the lower ribs are prevented from expanding, the breathing becomes sternal or clavicular. of these three modes of breathing the thoracic or intercostal is the correct one." Draw a breath slowly through a very minute opening of the lips, then exhale freely. Breathe freely and exhale slowly through the same opening. Breathe freely and retain the breath during ten seconds ore more. I should further propose the following suggestions: To perform above mentioned exercises lying on a flat surface, with the head and shoulders on the same level as the body, which should be perfectly relaxed, placing one hand gently on the put of the stomach and the other on the upper part of the sternum. This position will help, first, in preventing any raising of the shoulders; second, in realizing the correct action of the diaphragm, and third, in controlling any motion of the upper part of the chest, which must remain perfectly immobile. The flow of breath should be absolutely noiseless, the pressure of the diaphragm continuous, even and well managed. I desire to abridge, as much as possible, all anatomical descriptions of the vocal organs and restrict myself to the explanation of their action only; however, a rapid study of the larynx, as the producer of all vocal sounds, is necessary for the comprehension of our theories. "The interior of the larynx narrows toward the center to a mere chink or fissure called the glottis. This opening is bound by two edged place one on the right and the other on the left. These edges constitute the lips of the glottis. Posteriorly they are formed by the internal surface of the arytenoid cartilages and in front by the vocal cords. The vocal cords are two deep folds of the mucous membrane. In each of them, immediately beneath the edge of the fold, lies a band of elastic tissue known as the interior thyro-arytenoid ligament or true cord. At a little distance above these are place two others called false cords, which are separated from the former by two cavities, the ventricles. III. Vocal sound is the result of a more or less rapid succession of vibrations produced by the passage of air through the glottis. "The lips of the glottis, which are separated in the act of breathing, meet when preparing to produce a sound, and close the passage with the degree of energy demanded by the nature of the sounds and the power with which is is to be emitted. Then, being pushed upwards by the air, they give way and allow a portion of air to escape, but immediately return to their original contact, and recommence the action. These intermittent emissions of explosions of air, when regular and rapid enough, for a sound." García calls the closed of the lips "pinching of the glottis" You can obtain the sensation of the glottic action by coughing imperceptibly. The lightness of movement is considerable facilitated if it is tried with the mouth shut. Once understood, it may be used with the mouth open on any vowel. The object of this is economy of breath and that, at the start, sounds should be free from the defect of slurring up to a not, or the noise of breathing. Referring again to the tongue, I would remark that it is the most sensitive, unruly, obstinate organ of the mouth; it will give way to no coercive measures: all kinds of mechanical or artificial devices have been tried to subdue it, all in vain. Coaxing is the only means whereby you may obtain satisfactory results. The best plan is to let it rest limp, as in the position of silence or yawning. Always endeavor to feel your teeth softly with the tongue during the production of any vowel. That is the simplest way to correct any contraction. It is a common error to suppose that a wide opening of the mouth facilitates the production of powerful or beautiful sounds; it may help the vocalist to scream, but that is not singing. After being thus well prepared, draw in your breath slowly and attack the sounds by a neat articulation or stroke of the glottis, first on either of the Italian vowel, a, e, as in Alma, Sempre, or the English a in fâther, e in whêre. At this elementary state the notes must be kept full and equal in force. V. and VI. Registers - Timbres. - There is very often absolute confusion in the meaning of these technical terms; it is therefore most important that the difference should be clearly explained. "A register is a series of consecutive homogeneous sounds produced by one mechanism, differing essentially from any other series of sounds produced by another mechanism, whatever modifications of timbre and of strength they may offer." Every voice is formed of three registers: the chest, medium or falsetto and head. The normal range of the registers ought to be limited most carefully, not only according to the nature and character of each voice, but even of each individual. The fullest extend of the different registers is not available in practice. In female voices, either Contraltos, Mezzo-sopranos, or Sopranos, the chest must never exceed the F (first space treble clef), "let the result be the ruin of the whole instrument and the change from medium to head should take pace between C and C sharp on the third space. When nature has not united the chest and medium (which is unfortunately often the case), special exercises should be practiced in order to blend them completely: that is, by passing alternately and uninterruptedly from one register to the other on the notes D, D sharp, E and F.
Some unskilled masters avoid the difficulty by simply rejecting the chest registers altogether, thus depriving the singer of some of the finest effects and the happiest contrasts. Male voices have been classified as Bass, Baritone and Tenor. These voices are each place a third above the one preceding it; they vary in extend from a twelfth to a fifteenth, and, although in men's voices, as in women's the three registers coexist, the chest predominates. Classification of voices must be made according to quality - timbre and tessitura, not range. A timbre is one of the infinite varieties of colors or shades which may be given to a single sound or to the entire range of the three vocal registers. To make the distinction still clearer, I will mention the modern clarionet, the instrument which most resembles the female voice. It has four registers (the chalumeau or grave, deep, the medium, the clarion or acute and the superacute). In each of these, the only variety of tone results from duration, intensity or volume or sound; the color is, so to speak, fixed. In the marvelous constitution of the human voice, timbre or quality, in the three registers, may be infinitely varied form the most sombre to the brightest. A thorough knowledge of the mechanism by which timbres are produced is most essential to good production; it is also necessary to know the use of certain vowels in modifying and correcting defective quality of tone. Practically the two principal classes of timbres may be divided into the clear or open and the closed or sombre. "These two opposite qualities are obtained principally through the agency of the larynx and the soft palate. The movements of these two organs are always in a contrary direction. The larynx rises when the soft palate falls, and when the larynx falls the soft palate rises. The high vault produces the dark timbres, the lower arch the clear ones. In passing from clear to dark timbres, each of the first four Italian vowels undergoes a change, from clear to dark. O approximates to U in Italian or Ü in German. From dark to clear quality the operation must be inverted. In scales, equality, or unity of tone color, is the result of the inequality of the vowel, or its modification, on every note of the scale. The singer, by skillful gradation, must increase the roundness of the vowel in ascending and reverse the process in descending. The Italian I being the most ringing vowel, the same pinching of the glottis which gives its brilliancy and brings the voice forward against the upper front teeth, may be employed to communicate brilliancy to the other vowels. Passing from a ringing to a dull vowel on the same note may also be recommended to improve the latter Ex: Ia, Ie, Io. In male voice is is most important to commence the daily studies employing the clear, open timbre; rising as far as C and D for the bass and baritone, and F and F sharp for the tenor voices. Unless the open quality is well established the brilliancy of the upper notes in the closed qualities will certainly be jeopardized; they will always remain muffled. We repeat here that, in ascending the scale, the student must gradually increase the roundness of the vowel by lifting the soft palate, otherwise the higher notes would sound screechy. "Rising of the scale is formed by the gradual tension, shortening and thinning of the glottis lips." To facilitate the study of the chromatic scale, use the chord of the major 3d, the augmented 5th and octave C, E, G sharp, C, fix these intervals accurately in your ear and mind, then divide the scale in groups of four semitones and practice very slowly. The shake is produced by a very swift oscillation of the larynx. Its movement is equl to degree 200=one-sixteenth note Metronome of Maelzel, whereas the greatest agility attainable in any other vocalization does not exceed 152=one-sixteenth M. M.
To obtain his peculiar oscillation it is best to first practice on a major 3d and, when the intonation and movement are perfect, continue to exercise on a minor 3d, a tone and finally a semitione. To acquire smoothness and equality in vocalization, the use of the Metronome is greatly recommended. When properly directed, the study of agility renders the organ flexible, even mellow, and strengthens and prepares it for the florid style as well as for the plain and declamatory. The exercises, always begun slowly, must be well measured, and sung in strict time; the degree of rapidity should only be increased when the qualities of correct intonation, value, strength, legato and equality of timbre are well maintained. This insufferable defect, when not caused by age, disease or excessive strain and fatigue of the vocal organs, arises from faulty breathing, successive or spasmodic jerks of the diaphragm and the oscillation of the larynx, or both. With patience, determination and strict observance of the mode of breathing advocated at the beginning of this study, and by keeping the diaphragm and larynx free from agitation, you may overcome and correct this blemish, which impairs every style of singing. The habit of singing or humming when walking or driving or ascending stairs is most injurious and conductive to the tremolo. Transposition is an invaluable resource for sparing the voice and preserving its freshness and spontaneousness. Any difficult passage requiring frequent repetition ought to be transposed for practice until thoroughly mastered. Intensity of expression results more frequently from the articulation of the consonants than from volume of sound given to the vowels. When singing piano, the articulation must be more distinct or marked than when singing with full voice. The supposition that there is any difficulty in the choice of a good vocal teacher is quite erroneous. Good paintings prove the painter's ability; good teaching is proven by the talent and number of pupils formed by a master. I, of course, allude to professional pupils, fitted either for the stage or the concert platform. Having given a summary of the chief features which, in our opinion, establish the basis of sound vocal instruction, we wish to lay some stress on a particular subject: the traditions of ancient choral music which are so deeply rooted in the lands of their births. 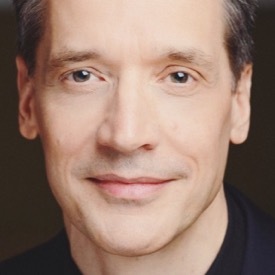 In Germany and England, where the oratorio, the Biblical drama and sacred cantata hold suhc an important place in musical life, faithful traditions of most of the renowned works of such masters as Bach, Handel, Mozart, Haydn, and in modern times, Beethoven, Spohr and Mendelssohn, have been religiously kept in all national musical schools and institutions; nay, they have so permeated the masses through the innumerable choral organizations, abounding even to the smallest centers, that the production of these works as performed elsewhere, is more than astounding to those who know. 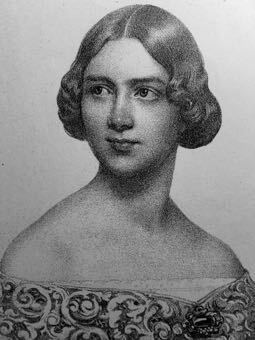 It is sufficient to have heard such correct exponents of oratorio as Madam Albani, Madame Nordica, Messrs. Lloyd, Charles Santley and Ben Davies to be absolutely convinced that, although of late years some generous efforts have been made, we sill have here a vast field for instruction. That is particularly the case with Handel, sung more or less, and played as printed in the English Vincent Novello Edition, or copies therefrom, without any regard for the imperfect notation prevalent in Handel's time, "the fictitious manner of writing the appoggiatura, which lasted for more than half a century after his death," and the erroneous way the accompaniments are usually executed, especially as regards the recitatives. Therefore special classes for the study or oratorio, according to the established traditions universally accepted in Europe, ought to be opened here in every large center. This brings me naturally to another subject affecting most seriously not only the voices of all singers, but even the faithful rendering of all classical works either operatic, orchestral, or those of the Handelian period; that subject is the desirability of a uniform standard pitch being established Throughout the United States, as it is now accepted universally in Europe. I refer to the "French normal diapason, " i. e. C. 522, vibrations. In order to save time, I have caused a speech of mine, delivered at St. James Hall, London, June 20 1885, to be distributed here, as it contains the chief arguments in favor of this reform. I am happy to state that, although twelve years have elapsed, our efforts have at last been crowned with success. The diapason normal is now the standard pitch throughout Great Britain as it is in France, Italy, Belgium, Germany and other European countries. First—The evolution from the lighter style of comedy or romantic operas to the modern mystical, mythological and ponderous blood and thunder lyric dramas, in which ruthless passions, battleax vengeances, rocks, earthquakes, black clouds, spears, cuirazses, damnation an determination have superseded the charm of pure flowing melody, wit, ingenuity and happiness. Song is dead, declamation reigns supreme. Second—Modern orchestration, which in it exuberance is heedless of the possibilities or the limitations of the human voice, and necessitates such physical strength and endurance on the part of the singers that it is hardly possible to satisfy the demands or modern composers. Third—That young, fresh voices, instead of being cultivated for that florid or sentimental style which would be congenial to their nature, are forced into the field of declamatory music, where they can only find interment next to the thousands of their sisters in mercy. We have to enlist now, for the exigencies of the lyric drama, ladies worthy to be called Pomeranian Grenadier prima donnas of the future. When one of these Teutonic Goddesses dies or faints on the stage it is necessary to advance a squad from the corps of Samsons (always engaged in well equipped operatic companies) for the purpose of removing the fallen heroines. This is grand, but not always graceful. How could you ask one of these ladies to sing Mozart's Zerlina? Who would ask a Zerlina to sing the part of one of these Great Goddesses? I nevertheless declare that I am a Wagnerite and would be, up to the hilt, were it not for the interminably long-drawn metaphysical recitatives which surely could be made less wearisome. I translated the Tannhauser for its first representation in French at the Grand Opera, Paris. I therefore knew Wagner personally, knew him well. If we were permitted to rest in the supreme joy of his Meistersänger, Lohengrin, Siegfried, Wladweben, Idyl, Siegfried's death and dead march, Tristan, Parcival, even with its prolixity, we would be happy indeed, but, since the advent of Wagner, we have alas! to reckon also, not with his colossal genius, but with his imitators minus this genius. The fear of remaining stationary is their art seems so great with the younger school of composers, the desire to be in what they imagine "the swim" is so intense, that why inevitably get drowned in the follow of their own sounds. To be "up to date" in the expression of Juliet's ecstasy and passion at the sight of Romeo, the young genius of the future will find it only natural to make the sweet shriek like a Walkyrie riding through the clouds. Without the slightest provocation the chromatic grindings of the poor orchestra are resorted to with such vim that at last, you think you had really better go at once to the hearest dentist and have the tooth extracted. It is progress to find such a great master as Tschaikowsky perpetuate a work like his overture, 1812? With introduction of bells, cannons, shrapnel, La Marseillaise, the organ, hymns and maledictions? It may be, nay it is, a most stirring dramatic tone picture: it is undoubtedly patriotic, but is it music? And we go on progressing, and come to another extraordinary genius—I repeat the qualifications genius—Richard Strauss, with his "Till Eulenspiegal." "An orchestra enlarged: four bassoons, four oboes, four flutes, English horn, four clarionets, contra-fagott, four horns, three trumpets, three trombones, tympani, etc, besides the full appointment of strings, the writing, from a technical point of view, so difficult that all the parts require special practice before being able to play the work." All this display of forces to illustrate his heroes merry pranks after the old freakish manner. A battery of Krupp cannons to kill a fly! Was it not our confrere, W. S. B. Matthews, who wrote justly; "At times the cacophony reaches a point where it seem as if we were listening to the preliminary overture of tuning and passage work, which everyone know who has hear an orchestra tune up, and warm its instruments. This, it will be remembered, as the tune of Shah of Persia like best of all, and the only one, in fact, which he recognized as music. And finally we come to "Thus spake Zarathustra," at tone poem, where, in the introduction, Strauss proves that he is a genius, but when he comes to the body and development of the work, we are reminded to such an extent of "Till Eulenspiegel's" pranks, the excruciating tinklings, squeaks, blasts, counterblasts and grunts of the orchestra become so formidable, that we are led to consider seriously whether there exists somewhere in germany a philanthropical Kankakee for eccentric musicians. Modern orchestration has lead me away for a moment. I will now conclude with a subject important to vocal art. A certain antagonism against what some interested parties are please to call "scientific teaching," or teaching by scientific methods, seems lately to have become much intensified. Recently, under the heading "The Laryngoscope in Singing," a gentleman of Chicago has written seven pages against those who learn, or teach, the art of singing by scientific method, resulting from Garcia's researches and the application of his invention, the laryngoscope, to the physiology of the voice. The propounded arguments—a big word for such pettifoggy reasonings—embody about all the on sense ever uttered on the subject. I do not think I should give the gentleman the benefit of an advertisement (even a bad one). I shall therefore call him "X" for the sake of brevity. But what I shall do is to give him an exhaustive and, I trust, satisfactory answer. The plain answer may also serve to check somewhat the influence of those charming, cunning, little foxes who proclaim the virtues of esthetic shirts, stylish sleeves and graceful Delsartian fads as omnipotent in the progress of young, credulous aspirants to fame. 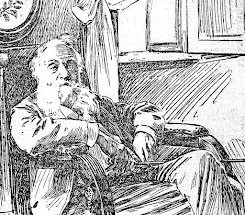 Today, all honest and scrupulous professors teach upon exactly the same principles; their methods may vary slightly, but the fundamental laws of phonation have first been thoroughly mastered by them, and the whole system and practical part of their teachings are in accordance with these natural laws, which they cannot ignore. All other teaching is pure charlatanism. I feel I am discharging myself of a duty towards my master and the public in exposing such notions as might prove most dangerous to the career and purse of anyone hoping to become an artist. Now it would be easy to dismiss our opponents by answering: Why discuss at all, when you profess tone the Apostles of Ignorance, to worship ignorance, and endeavor to drag the public into the belief that a good voice is about everything required to become a singer: that heart, impulse, natural feeling or dash are sufficient attributes to make an artist? I prefer replying to every proposition set forth by X and shall do so, following the order adopted by him. First proposition: "What benefit has the art of singing received from the modern scientific study of the throat?" Has it been of any value at all? This is the question of the very greatest interest to every singer and more especially to every teacher of singing. "The study of antimony and physiology of the vocal organs is not indispensable to the pupil, but might be most useful to the teacher. It will enable him, when a defect is to be amended, to detect the organ which is at fault. and to suggest the proper correction. For the pupil it is enough that, localizing his sensations through his master's explanations, he should learn to distinguish the various parts of his instrument and the manner of using them." I will add that Garcia, who studied exhaustively the physiology of the vocal organs long before he invented the laryngoscope, in 1855 I believe, repeatedly said to me: "The L has taught me me nothing new in anatomy: it has simply corroborated my previous investigations; but its use has afforded me the immense advantage of discovering how the glottis proceeds to produce some sounds and registers and also the manner in which the ringing and veiled qualities are communicated to the voice: thus enabling me to direct the pupil more intelligently." Still further, in support of the argument, I will say that it is not sufficient to apprise the student of his defects; you must be competent to indicate exactly the means of correcting those defects. That is scientific teaching. Second proposition: "Have the scientists succeeded by the aid of their technical knowledge of the throat in making singers, or even a large number of good singers? Echo alone seems to answer!" I do not think I can better answer X's curiosity than by giving him a a rapidly drawn music-genealogical tree of the Garcia family. I include not only the descendants in direct line, but also some names, out of the hundreds of pupils, musical offsprings of this great school of singers and teachers, nurtured from the same source. I begin with Manuel Garcia (the elder, Sevilla, 1775: Paris, 1832). 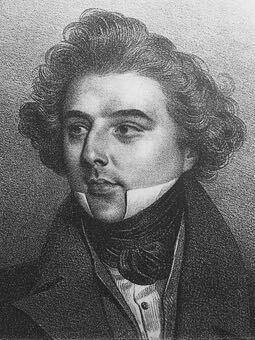 One of the greatest tenors that ever existed; a profound student of the voice, a prolific composer of opera, and the author of the first school of singing bearing that name. Manuel Garcia, second (of our day) Mailbran and Mme. Viardot-Garcia. Jenny Lind; Bussine (of the opera Comique), professor of the Conservatoire (teacher of the tenor Duc of the Grand Opera, Paris); Saint Yves Bax (professor at the Conservatoire, Paris); Jules Barbot (chosen by Gounod to create the part of Faust, professor at the conservatoire, Paris); Charles Battaile (chosen by Meyerbeer to create the bass parts of L'Etoile du Nord and Le Pardon de Ploermal; professor at the Conservatoire); Herr Stockhausen (the famous lied singer and the best singing master in Germany, the teacher of your George Henschel); Arnoldi and Agnese, of the Italian Opera, Prise; Wartel (the teacher of Christine Nilsson and Trebelli); Roger (who created the part of Jean in Meyerbeer's Prophet); Charles Santley, the famous English baritone; Catherine Hayes, Miss Orridge, Miss Macentyre and Mme. Marchesi, the teacher of Gerster, Emma Nevada, Mme. Stahl, Esther Pailliser, Frances Saville, Sibyl Sanderson, Emma Eames, Emma Calve and Nellie Melba, Malibran and Viardot were both pupils of their brother. Mr. Duvivier was a classmate of Messrs. Jules Barbot, Bussine and Stockhausen. Cannot X perceive the ringing echo from all these voices, these excellent artists, who, for the last half century, have been singing a glorious hymn of praise to their progenitor, Manuel Garcia? These marvelous voices, these great singers, were all formed, cultured, educated on scientific principles. Third proposition: Is it not necessary for their teacher or singer to know anything about the throat from a scientific standpoint. Because, if we know anything about singing at all, we know that the most famous singers the world has ever seen have live and died before the laryngoscope we invented. Has X heard those singers? How can he compare with the singers of today? Has X even heard Lablach, Ronconi, Duprez, Mario, Stontag, Alboni, I have heard them all. Lablach I used to visit when he lived Rue Taibout, Paris. Ronconi (George) was an intimate friend of mine, and so was Alboni, whom I first know in Berlin. Mme. Songtag, Comtess Rossi, was kind enough to accept and sing the first three songs I published in Germany. Is it not really an insult to the memory of these aforenamed singers, and those of the past, to suppose that they never made any scientific investigations, never studied the voice physiologically? In our own days, what does X think of Jules Faure and Victor Maurel, both great artists, both having written scientific works; Faure his "La Voix et le Chant;" V Maurel his book "Un Problem d'Art;" works they sent to me and which I will willingly led to X of the benefit or his education. What do you say, Mr. X, about Jean de Reszke? Dr. Joal declares that he is as learned a theoretician as he is an able practitioner. What is your opinion about Edouard de Reszke, Plançon, Lasselle, Villaret, Melba, Calve, and all the others? Every one of them ignoramuses, eh? You speak of the old Italian School. Are following works and methods not scientific? Bernacchi of Bologna (1775); L'Abbe Blanchet (1756); Principles Philosophiques de Chant; Mengozzi; Tosi (L'Art du Chant, (1723); San Giovanni; Charles Battaille (De L'Ensignement de Chant); Lablach? Nevertheless X insists that "a normal healthy youth, with the desire to express himself by singing instead of speech, may, and frequently does, sing, that is, vocalize, beautifully without the benefit of any instruction whatsoever." Let the boy go to the top of the class at once! 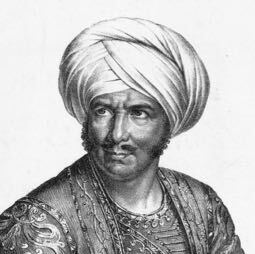 "Great singers lived and died long before the laryngoscope was invented." Why certainly! Long before the telescope was invented people could see—a comparatively short distance. Long before the application of steam to mechanics, machines existed; navigation existed—slow navigation. Even before the printing press existed, men talked nonsense; but it was impossible to flood the world with paper sullied by such useless divagations. X continues his remarkable revelations: "Singing, after all, is not merely a physical art." Nobody ever said that merely scientific knowledge was necessary to make an artist. He says further: "We all know that many great singers have been quite unable to instruct others." We know even of some bad singers in the same predicament. But Mr. X, when you write, "There is something in good singing that may not be analyzed, weighed nor measured, that comes from the heart and speaks to the heart," we really must decline to follow you in these bold, dangerous psychical flights and distinctions between brain, heart, soul, etc., etc. Your proposition might puzzle even a Herbet Spencer, although he is reputed to be a rather vigorous thinker. The voice is only a medium by which feelings emotions, passions, sentiments may be expressed just as with any other instrument. You do not play the piano, the violin or any instrument with your heart, nor do you learn how to use your voice with your heart. The brain dominates, controls the whole musical work, as well in the conception, the analysis, as in the execution of a piece; as well in the mastering of all technicalities, colorings to tone, etc., etc. ; be it in the reading or in the rendering of a song, a concerto, or a symphony. There is about as much sentiment in the study of vocalization as there is in the five finger exercises of the piano student, and I know what little boys and girls think about them. The best virtuosi and best singers are like the best soldiers, those who remain cool under fire. That is art, not impulse. It must be a sad experience to see a solider run away with his gun. What awe would be caused by the sight of a gun running away with its soldier! Seriously, sir, our duty is simply to thoroughly equip our pupils; teach them with the works of the great masters; develop in them the love of the beautiful, the elevated, the intellectual and then but only then, if they are blessed with individuality, soul, fire and reverence for their art, let them go. They will give that imprint to their work that no teacher could ever inculcate. By all means let the life-blood of our hearts rush up to meet our brains, nourish them, invigorate them, help to inspire and inflame them with noble ambition, noble feelings, but do not let us forget that clever definition of genius, "A great capacity for hard work." This case of Garcia versus X could be dismissed with the application of Nietzsche's Epoch-gram: "We are never understood, therefore our authority." Duvivier again took issue with Mr. X some months after this address was made in Music: a Monthly Magazine, Devoted to Art, Science Technic and Literature of Music, which you can find here. In it, letters written by García to his student appear, including one which contains—to our ears anyway—a whiff of prejudice. The whole business, of course, telegraphs that Duvivier took pains to establish his credentials and certitude. Digging back further, we find that Duvivier's Mr. X was a Mr. Karleton Hackett, a student of Luigi Vannuccini, who crossed swords with Duvivier in an article in The Musical Courier (sorry, I do not have a link) which appeared after Duvivier's address had been given and published. In any case, Duvivier sued the Courier and lost. The original article by Hackett which got Duvivier's dander up? You can find it here. I suppose we should thank Hackett for writing it, since we wouldn't have Duvuvier's address without it, and can only imagine the nature of the rivalry that took place off the page. What is one to make of this matter of the laryngoscope in the teaching of singing, and, by extension, the use of technology in the studio? If the article above reveals anything, it is that the controversy surrounding the application of technology has a long history. I read with much interest your article on Alphonse Devin-Duvivier as it provides much information on the life of this composer and voice teacher which I could not find in the encyclopedia such as the New Grove Dictionary of Music and Musicians. Did your research revealed when and where Alphonse Devin-Duvivier died? I have seen it reported as 1907 and also as 1909 but with no place of death nor any precise date (day, month, year). I would be very grateful if you could share this information with me. Thank you and bravo for all your research.